Look no further as partnering with the Inside Baseball Coaches Clinic, grants you elite access to the best baseball fundraiser ideas. We offer travel league baseball teams collaborative opportunities by using our high-demand Vimeo videos. 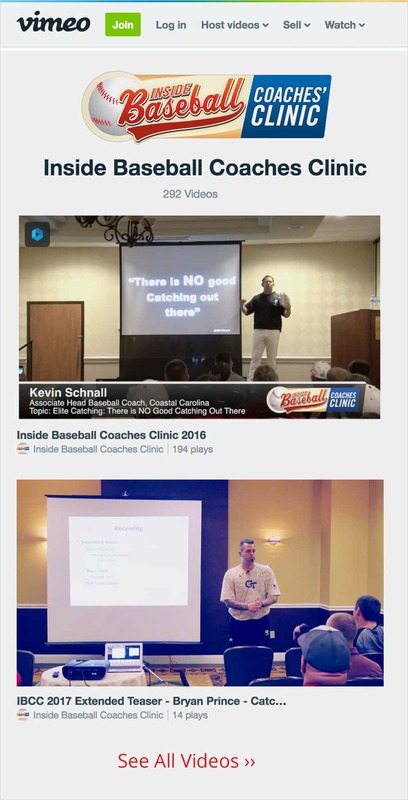 As part of our fundraising program, we offer travel league baseball teams the opportunity to buy Inside Baseball Coaches Clinic’s videos to raise money for their team. Don’t miss out on this exceptional fundraising opportunity! Buy our videos and we will donate to your team as a way to promote baseball education and communities! For a limited time, you can buy the entire video playlist from our 2017 clinic for $429 and receive a discount that will reduce the price to only $329. In addition, Inside Baseball Coaches Clinic will donate 25% of the sale to your travel leauge baseball team via PayPal. Not only will you raise money for your travel league baseball team, you’ll also receive expert insight from the best of the best. Talk about a great deal!